Odds are, you won’t be able to nail that breath-suckingly long note from Freddie Mercury’s “Ay-Oh” singalong at the end of “Radio Ga Ga” at Live Aid. But that shouldn’t stop you from wailing along to that and other Queen favorites aboard a double-decker bus in downtown Las Vegas. 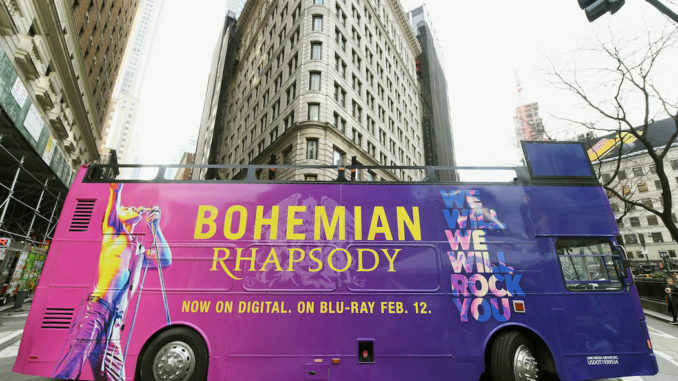 To promote the home video release of the Oscar-nominated “Bohemian Rhapsody,” the Rock Like Queen Bus Tour will let fans unleash their inner-Freddie for a half-hour of Mercury mania. The bus will board approximately every 30 minutes from 10 a.m. to 5:35 p.m. Tuesday at the intersection of Fremont and Sixth streets. Admission is free, but registration is required at rocklikequeen.com.